The March 2019 update for Forza Motorsport 7 arrives on Tuesday, March 12! Drifters and wheel users rejoice, because March is bringing some great features your way. Not only do we have three drift-ready RTR cars serving as this month’s Spotlight Cars, we also have a new cockpit camera option made specifically with drifters in mind. We’ve also made some improvements to collisions in the game based off community feedback and have added new quality of life improvements for wheel players. The long-awaited Forza Race Regulations (FRR) feature makes its limited-release debut in Forza Motorsport 7 this month. See below for details on how the closed beta will work and when the general player base will get their first taste of FRR (hint: it’s in April). Finally, the official Forza Discord server is now open for business and we’re inviting the entire Forza community to join and let their feedback be heard. See below for more on how you can get involved with this new platform. As always you can see the longer list of fixed and improvements in our March 2019 Release Notes on the Forza Support site. Here are the highlights of the March update, starting with that trio of drift-ready, RTR-powered beasts. March Spotlight Cars: Welcome RTR! This month we have three Spotlight cars that are known for getting sideways in some of the most thrilling drift competitions in the world. Driven by Formula Drift heroes Vaughn Gittin Jr. and Chelsea DeNofa, these RTR monsters are surely “Ready to Rock”! Each of these cars is available to all Forza 7 players for free this month. Here’s a closer look. 2018 Ford Mustang RTR Spec 5 The Ford Mustang has always been a legend but, when the team at RTR got their hands on this one, they created something truly awesome. This pony car has got the look and the guts to go racing, drifting, or just cruise. Take a good look at the custom wide body kit with side skirts, chin spoiler, rear diffuser, those RTR hood vents, and you can see this vehicle means business. The real treat is under the hood where you will find a 460 horsepower Coyote V8 putting power through a 10-speed paddle-shifted transmission. It’s the perfect balance of performance and looks and will serve you well wherever you see fit. 2018 Ford #25 Mustang RTR One of the American drifting greats and 2010 Formula Drift champion Vaughn Gittin Jr. is known for his aggressive style and billowing smoky driving. He’s so aggressive that you will often see his Monster Energy liveried Mustang on three or even two wheels on entry. You have to credit the driver for this no-holds-barred, go-for-it action, but the car deserves some credit as well. After all, when you put massive horsepower from a naturally-aspirated Roush-Yates V8 with a 9,000 RPM redline in this stripped down, full-on drift car, any Forza lover can give it their all. This is the car that made history drifting the entire Nürburgring Nordschleife. It’s one greatness-enabling machine you need to experience. 2018 Ford #88 Mustang RTR Chelsea DeNofa has been making a name for himself in many forms of racing. He got his start in the world of drifting before he even had a driver’s license. Since then he has raced as an SCCA pro where he honed his incredible driving skills before diving head first into the world of drifting. Now considered among the top drivers in Formula Drift, he joined the RTR Drift Team in 2017. In his BC Racing livery Mustang that shares the same specs with Vaughn Gittin Jr.’s RTR Mustang, Denofa has been blowing minds with his precise and exciting drifts. With 1,000 horsepower, BC Racing coilovers, a custom IRS, and 4-speed dog box transmission, it’s now your chance to melt tires and make a name for your own drifting aspirations. Forza Race Regulations March Beta The rollout of Forza Race Regulations (FRR) begins this month. Starting in March, we are beginning to introduce FRR to Forza Motorsport 7 and this rollout will take place over several months as we continue to introduce new functionality and features to the system, and to listen to feedback from the Forza community. Beginning on March 13, we will be launching a closed FRR beta hopper that will be accessible to a small number of players, including Turn 10 developers and invited Forza Motorsport 7 players. During this closed beta, Turn 10 will be experimenting with the first version of FRR in a retail environment, and gathering feedback from invited players. The scope of the FRR feature set in the March closed beta will be limited to track cutting only and will feature UI elements and implementation aspects that are not yet final. For example, while players will incur time penalties for cutting the track in this FRR hopper, those penalties will not affect players’ final placement after a race has completed. Incurred track-cutting time penalties will begin to count towards event results after the April update. Also in April, we expect to open a public FRR beta hopper that will be accessible to all Forza Motorsport 7 players. Look for a more detailed explanation of how FRR features will work with the April update – as well as more detail on how FRR will evolve in the months ahead – coming next month. 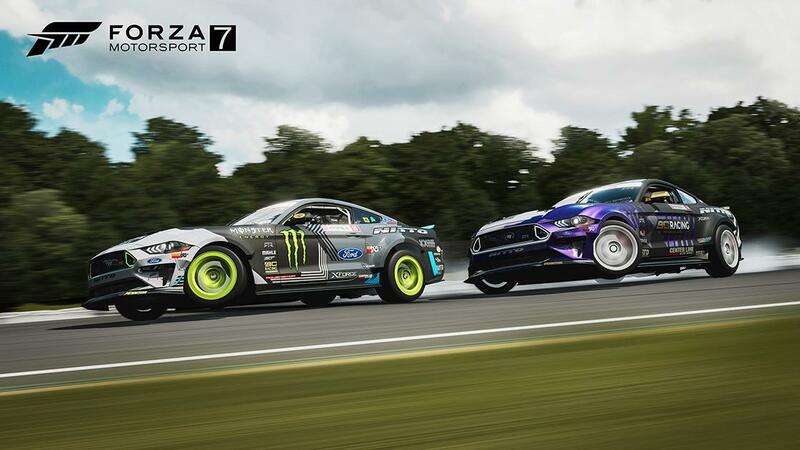 Collision Improvements We’ve made some changes to collision features with the March 2019 update, based on community feedback on new collision updates that were introduced to Forza Motorsport 7 last year. Specifically: Collision Assist – In an effort to prevent players from using Collision Assist to push other cars around the track, the Collision Assist effect now bleeds off over time during contact. General Collision Improvements – We’re introducing some important changes to the collision model. Previously, the friction between two cars used a fixed coefficient. Introducing the new “soft” collisions in Forza Motorsport 7 meant that friction sustained over a longer period. With the March 2019 update, we’ve lowered the peak friction and added a scale to the friction coefficient based on the interpenetration of the soft collisions. This means that light bumps will have less friction and large-magnitude collisions, where cars “squish” into one another, have higher friction. We have also adjusted the amount of time that cars can be “squished” together. Wheel Updates Wheel users will see some improvements in Forza Motorsport 7 this month. We’ve introduced four important updates: 1) Per-Car Wheel Tuning – Each car in a player’s garage now has a tunable setting for steering wheel rotation scale and force feedback. Players can now set their steering lock with soft locking and steering force, and those settings will save to the garage car. Note that this feature is not usable on rental cars and does not save to the tune itself. This tuning menu is accessible from the Tuning & Upgrades menu. 2) Dynamic Damper Behavior – The recently updated force feedback (FFB) introduced a dynamic damper to FFB. Some players prefer a linear damper; as a result, we’ve introduced a new dynamic damper effect slide which allows players to scale between the current dynamic damper and a fixed linear damper. The existing damper scale still scales the damper as it did before. 3) Load Sensitivity Tuning – The current FFB system in Forza Motorsport 7 is based on actual wheel loads. Some of these loads occur at a higher frequency. The game filters the very high frequency loads and bucket them as “Road Feed.” Some medium frequency loads are bucketed as “Align Torque.” The new Tire Load tuning setting allows players to filter out the medium frequency load to create a smoother FFB experience. 4) Wheel Telemetry – We’ve added a new panel to Telemetry to show players their current steering wheel torque in graph form. Because the game sends FFB torque, damper, and spring to the wheel separately, the game cannot display the actual level of torque saturation for the wheel. Torque is displayed as it is sent to the wheel, a normalized scaled between 0 and 1, with 1 being the maximum. Spring and Damper are normalized to the default setting. Track Limit Menu Change With the March update players can now find the Track Limit Lines settings option under Assists. Track Limits settings can also still be accessed via the HUD options menu. Drift Cockpit Camera Together with the introduction of new RTR cars in Forza Motorsport 7, we’ve got a new drift-focused cockpit camera option that is designed to improve drifters’ in-car views. Accessible from the HUD menu, the Drift Camera is a toggle-able option that, when engaged, allows the cockpit camera to automatically look in the direction of the car when drifting. The new camera option is available in both cockpit camera view and wheel-less cockpit view and features three different settings that players can tune to their liking. Sensitivity controls the ratio of car angle to camera angle. Players can increase or decrease this setting to affect how sensitive the camera is to car angle. Look Speed controls speed at which the camera moves from its original position towards the direction of travel. Reducing this setting will smooth out the camera’s movement due to changes in direction. Camera Range controls the width of movement for the camera. Reduce this setting to limit the camera’s movement when the car is at peak angle. Forza Discord – Now Open! Got something to say about Forza? 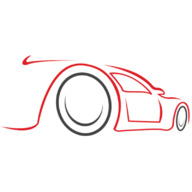 Want to share some feedback about the new Drift Camera setup, or Wheel Telemetry? Can’t wait to share your thoughts on Forza Race Regulations? Check out our newly opened Forza Discord server. Here you can interact with Forza fans from all over the world and share your thoughts on all things Forza. Join the fun now and let your voice be heard! Less than a month to go for the PS4 launch in some locations, and we've just heard that Harley will need to upgrade his woeful Internet connection so that he can download and install the 300MB software update in good time to enable features such as RemotePlay (for Vita) and also the Share button on the controller, which will allow him to record and upload gameplay highlights, or even LiveStream via the Twitch or UStream service. Other features enabled by the update are voice command and facial recognition (requires the PS Eye camera), and more importantly the 'play-as-you-download' ability powered by Gaikai's cloud technology. But wait, there's more. The patch also enables multiple-account logins, BluRay and DVD support, custom background music while gaming, and Party Chat. Before we all give Sony flak for the magnitude of features that are dependent on this update, it's worth considering that the likely reason for this is to prevent unwanted early feature reveals or reviews from those who are privileged to gain access to early demo units (i.e. store owners). Same thing happened with the Wii U, and we already know that the Xbox One and Forza 5 both will require day one patches. The only noticeable feature that won't be making an appearance at launch is the suspend/resume feature, so Harley will have to save his gameplay and turn the console off manually until Sony release another update. That's assuming he hasn't already cancelled his preorder by now. :p The rest of us will be able to check out Sony's 'second screen' PlayStation app for Android and IOS on November 13 for USA, or November 22 for Europe. While Harley will be able to use it as a basic controller for his console, the rest of us with PSN accounts can benefit from it's social features by comparing trophies, sending messages, editing profiles, posting status updates, and of course - buying games. New update - 16.10.2012 ??? Hi, guys! I have a question: was new update released maybe? I have unpacked version of the game and everytime when new update is released I can`t play online. I is there a new little update wile i have the same problems as for 5 days. for 5 days i updated my game to v28 and today the massage comes game servers are not available?! How to update unpacked game? I noticed that the list of things included in DLC2 mentioned this: Force Feedback – Enhanced Force Feedback Management Any one know what this actually means, have they fixed the problem with playing this game as it was intended... ie with a wheel? I, like many of you, came to TDU2 after long hours playing TDU with a G25 and mainly find now in TDU2 (if I play it at all), I have a short drive, get frustrated with how dead it feels and then go play poker... then ultimately stop that and go back to TDU and thrash my Daytona round Kelekole. With Update to come, what happened? Well need to do to keep playing the Update Launcher, but for those who have cars mod (like me) what will? For the Launcher when running normal it will somehow bugar the game = / Anyone have any idea of what we try to do? My friend suggested to run the launcher it's just very buga the game .... So we suggested that it be reinstalled after this TDU2 and used the launcher, update and make the whole process of installing the mod ..... What do you think?